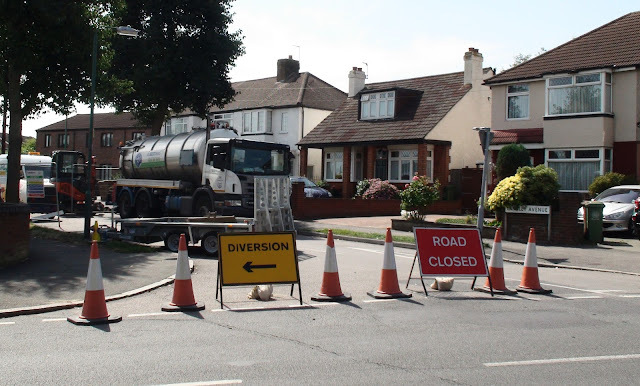 Langley Avenue has been blocked off so that urgent sewer repairs can take place. The work began last night at around 7pm and there were reports of pneumatic drills still going at twenty to ten! A nearby blocked drain had shown evidence of the broken sewer and a camera was sent up the pipe confirming the problem. 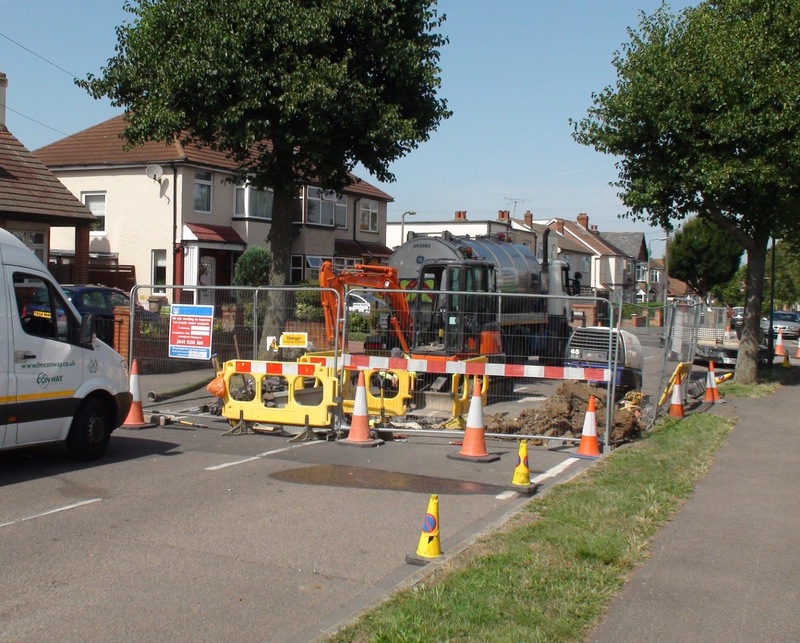 The ground underneath the road has been collapsing in on itself so it was just a matter of time before the road itself caved in which could have caused another sinkhole like the one in Malden Road recently. Unfortunately the men working on the problem did not want me to take a photograph of them or the hole. Usually people are very obliging but I’m not going to impose myself if I’m not wanted. I can report though that the hole was nearly a square metre in size and nearly one and a half metres deep. I was told it should be finished and the road reinstated by tomorrow.